Ketchikan, Alaska - Imagine my surprise when I began researching the Ryus family of Ketchikan-assuming all members were either dead or had no ties to Southeast Alaska-and found out that several descendents are living and one is even working on an engineering project in town! Many old-timers remember Ryus Drug, which was located on the corner of Front and Dock Streets, and we are all familiar with Ryus Float at the foot of Dock. But what about the Ryus family and how the float got its name? After exploring Nome during the 1898 gold rush Joseph Emmett (J. E.) Ryus arrived in Ketchikan on January 7, 1901. He liked the seaside village, believed in its future and decided to start a business. Together with his two grown sons, Floyd and Leroy, he formed the Ryus Drug Company. J. E. had experience in the drug store business, traveled to Seattle, returned in April of 1901 with an assorted stock of drugs and supplies and set up shop in a small building on the steamship dock. By 1902 the Ryus Drug Store had grown to such an extent that he tore down the old building and built a bigger one. The following year, 1903, the enterprising Ryus, expanded his business holdings and began developing an entirely different operation. Located at Loring, Alaska (25 miles north of Ketchikan), called the Ketchikan Ooligan Smoking and Oil Company, the new business worked to extract oil from both ooligan and dog fish, according to a 1903 issue of the Mining Journal. J. E. Ryus was a busy man. In addition to their sons, he and his wife Emma had a younger child, a daughter named Florence. In 1905 the family built a home not far from the drug store on what was then called "Garrett's Hill," above today's tunnel. On July 4, 1906 a hot stove caught fire in a restaurant next door to the drug store. Whipped by high winds the fire spread to Ryus Drug and burned both buildings to the ground. J. E. Ryus was unhappy but undaunted. Wasting no time he hired carpenters to begin rebuilding. He went to Seattle, purchased building supplies and fixtures and stock, and loaded it all on a ship bound to Ketchikan. When the supplies arrived he unloaded directly from the ship into the store. By September the new building was open for business and stood for years on the corner of Front and Dock. In 1909 Joseph Emmett Ryus died. His son, Floyd who had gone to university and studied pharmacy, took over day-to-day operations. As the years passed Floyd Ryus expanded the drug business, even opening a branch store on the west end of town. A 1920 newspaper advertisement stated that Ryus Drug sold "Stationary, Sundries, Charts, Tide Tables and Post Cards." And with the store conveniently located on the steamship dock, Floyd also acted as local agent for the Canadian Pacific Steamship Company, which gave him shipping priority for necessary drugs and supplies. Meanwhile, in about 1902 Leroy Ryus married Elizabeth Heckman, a schoolteacher and sister of local businessman J.R. Heckman. More of an outdoorsman than his brother, Leroy trained as an engineer and surveyor. In 1905, he was listed on local municipal records as "city engineer." An advertisement in the Mining Journal of July, 1906 stated: "Leroy D. Ryus, Civil Engineer, U.S. Surveyor and U. S. Deputy Mineral Surveyor." In 1906 Leroy agreed to perform a survey of the present town-site as well as additional land the council wanted to annex. The job, however, presented many problems and cost more than anticipated. Leroy refused to do more work without more money, the council took him to court and the case dragged on for over two years. After that Leroy and his wife Elizabeth and young son Emmett moved to Loring, where Leroy worked at his father's ooligan and dog fish business. Within a few years they returned to Ketchikan, building a home on Garrett's Hill across the boardwalk from Leroy's parents. 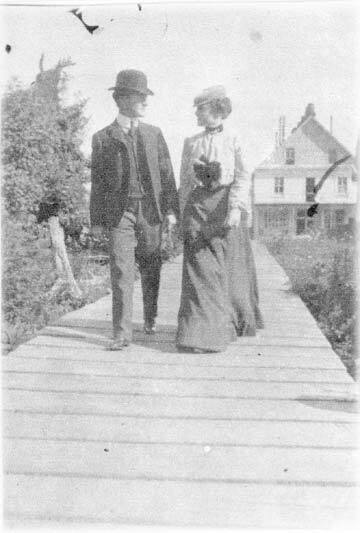 In 1917 Leroy and Elizabeth built a second home at Ryus Bay, on the northern shore of Duke Island. They lived in the wilderness, planted a garden, managed a fox farm and made plans to start a cattle ranch. By now they had three children-Emmett, Helen and Ruth-all of whom were home-schooled by Elizabeth. To this day three small islands near Duke Island appear on the chart. They are Helen, Ruth and Emmett Islands, which Leroy named for his children. On the evening of January 20, 1927, Floyd Ryus, pharmacist and owner of Ryus Drug, drove his automobile from his home to the store. Perhaps he went to pick up something forgotten or to check on the building in cold weather. He parked his car in the garage, which was built on piling behind the store and over the water. Unaware that a trap door in the garage had been left open, Floyd stepped out of his car in the dark, fell through the trap door and into the freezing waters of Tongass Narrows. Several hours later searchers located his body, floating about fifty feet from the garage. A local doctor determined that Floyd hit his head in the fall, was knocked unconscious and died shortly afterwards. After the funeral, Floyd's wife Fernanda and her three-year-old son, Joseph Emmett Ryus II, moved away from Ketchikan, making their home with her family in San Diego, Calif. The Ryus Drug Company was dissolved and the business sold. That same year, 1927, brought more tragedy to the Ryus family. Emma Ryus, wife of J. E. and mother of Floyd, Leroy and Florence, died at her home on Garrett's Hill. Perhaps the loss of her son Floyd was too much for her. In 1919, she'd also lost her daughter Florence, who had married in 1907 but had no children. Also in 1927 another fire damaged Ryus Drug. This time the blaze started in the chimney and spread quickly to the woodwork in the floor and ceiling. Fortunately Leroy's son Emmett Ryus, who by then worked as a clerk at the store, arrived in time and called the fire department. Between Emmett and volunteer firemen, they managed to put out the flames before the store was completely destroyed. 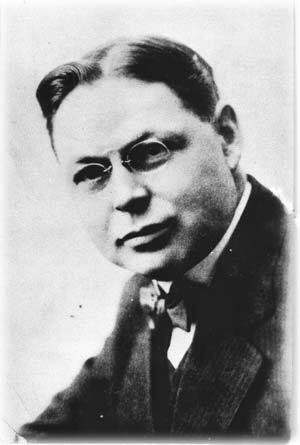 Two years later in 1929 Leroy Ryus died from a stroke. Leroy's son Emmett, born in 1905, graduated from Ketchikan High School in 1923, then clerked at the drug store for several years. He later became a cashier and banker at the Miners and Merchants Bank of Ketchikan. In the late 1940s Emmett and his wife Betty built a home at the top of Bawden Street, where they lived for many years. Old-timers still refer to the home as the "Ryus house," which is owned today by Jim and Anne Marie Meiresonne. Emmett and Betty also established a home at Loring, where Emmett's dad and grandfather had operated the ooligan and dogfish business years before. Their house at Loring still stands on the hillside above the float. Ketchikan resident Tom Stack, Jr. who grew up at Loring remembers Emmett Ryus as "a friendly guy who was nice to little kids." Emmett was the only one of the Ryuses to remain in Ketchikan. He died here in 1976 and his wife Betty in 1981. 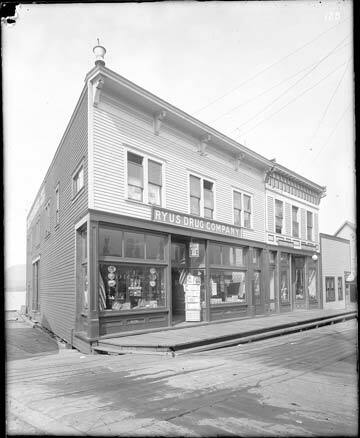 By 1940 Ketchikan businessman Lyman "Steve" Ferris owned the drugstore. He hired pharmacist Bob Browning who came to Ketchikan, worked at the store and over time purchased it from Ferris. But over the years Browning suffered from arthritis and other health issues and doctors advised him he needed a sunnier climate. He found someone to run the store and he and his family moved temporarily to Arizona. They were returning to Ketchikan by steamship to put Ryus Drug up for sale, when word came that the store was on fire. The date was January 1, 1958. The store and the entire "Ferris Block" burned to the ground, leaving only charred and smoking timbers. Ryus Drug, which had been plagued forever by fire, ended its life in flames. When Leroy died in 1929, his wife Elizabeth Heckman Ryus took her daughters, Helen and Ruth, and moved to Seattle, where the girls attended school. Both Helen and Ruth soon married, raising their families in Washington State. Elizabeth Ryus died in 1944 and today Helen and Ruth are also gone. But their children still live in Washington and keep alive the family roots and Ketchikan ties. Bob Ferguson, son of Helen Ryus Ferguson, was formerly a helicopter pilot stationed at Annette Island and is familiar with all of Southeast Alaska. Bob's sister Gayle Woolston has worked on Ryus family research and his sister Sally Kelly visited Ketchikan six years ago on a cruise ship, bringing along her family and taking a small boat into Ryus Float. Floyd Ryus's son, Joseph Emmett Ryus II, who left Ketchikan in 1927 at the age of three (after his father's death through the trap door), has never been back to town. He is now a retired university-librarian, living in Richmond, California. But Joseph's son, Paul Ryus, has been to the First City-more than once. Paul Ryus is an engineer (like his great-uncle Leroy) who works for Kittelson & Associates in Portland, Oregon. The company currently is working on a study of traffic and pedestrian patterns in downtown Ketchikan in relation to the new dock expansion. The company is also designing a program for downtown pedestrian signs. There used to be a sign at the foot of Dock Street that said "Ryus Landing" and provided information on the history of the family and where the name "Ryus Float" came from, Paul Ryus said. But the "Ryus Landing" sign has long since disappeared. "And now there's talk that they might fill in the Ryus Float area and make it all part of the cruise ship dock," Paul Ryus said. "That would be sad for me, particularly since I've been working on the dock project." Losing Ryus Float would be sad for Ketchikan too, but at least we now know the family history behind it. Craft, Amy. "Call of the North," unpublished manuscript: Tongass Historical Museum. Ketchikan Alaska Chronicle, Ketchikan, Alaska: 1-21-27. Ketchikan Mining Journal, Ketchikan, Alaska: 2-23-03. Ketchikan Mining Journal, Ketchikan, Alaska: 10-21-05. Ketchikan Mining Journal, Ketchikan, Alaska: 7-30-06. Ketchikan Progressive-Miner, Ketchikan, Alaska: 1-4-17. Roppel, Patricia. Unpublished research, Ketchikan, Alaska: 1970. Sheraw, Roberta Browning. Letter via e-mail, Ketchikan, Alaska: July 26, 2007. 1930 United States Federal Census, Washington, D. C.: National Archives and Records Administration.